Kevin Durant may not have left on the best of terms with the Oklahoma City Thunder, but "Mr. Thunder" believes that shouldn't matter. Right before Nick Collison had his No. 4 jersey retired by the Thunder on Wednesday night -- the first-ever jersey retired by the franchise -- the fan favorite made sure to stress that his former teammate deserves to have his former No. 35 lifted to the rafters of Chesapeake Energy Arena. Young: Kevin Durant gave you the nickname "Mr. Thunder." Do you think the Thunder should eventually retire No. 35? It's their decision to make, but I would certainly think so. He's meant a ton to Thunder basketball and spent a huge majority of his career here. A lot of these honors are just kind of what the team decides to do, and I think players are appreciative of them. I don't get too worked up about it. I'll let other people debate that, but to me, he's a big part of what we did here. As you can see by the video below, the two were such close teammates that Durant, whose Warriors didn't play that day, even took the time out of his schedule to attend Collison's jersey retirement. Collison was drafted by the franchise in 2003 when they were the Seattle Supersonics. He played his entire career with the organization until his retirement in 2018. He was a member of the last Sonics team to make the playoffs in 2005, when the franchise still had Ray Allen and Rashard Lewis on the roster. Collison was also a part of the move from Seattle to Oklahoma City in 2008, the franchise's first playoff appearance as the Thunder in 2010 and their first Finals appearance in 2012. He was also there for Durant's departure in 2016, so he knows better than anybody what type of contribution Durant made to the franchise. While Durant will probably never be fully forgiven for departing Oklahoma City for the Golden State Warriors, his accomplishments in Oklahoma City are immeasurable. 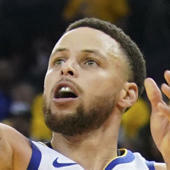 He was the organization's first true superstar, won the league's MVP in 2014, won four scoring titles and made the Thunder an annual championship threat. Despite the rough departure, there's no reason why No. 35's jersey retirement shouldn't be embraced by the Thunder, back in action on Friday against the Raptors (7:30 p.m. ET -- watch on fuboTV with the NBA League Pass extension), down the road.